Last week, I delivered the opening introduction to the annual Addiction Studies Institute, an annual conference sponsored by Talbot Hall, the addiction recovery hospital at our medical center. This is the 28th year of the conference and was attended by more than 1,000 health professionals, clergy, educators, and criminal justice professionals who had one thing in common: dedication to the treatment and prevention of addiction disorders. 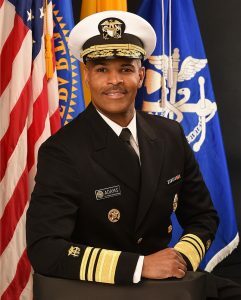 The key note speak was Dr. Jerome Adams, the Surgeon General of the United States. He had a powerful message about our current opioid crisis and that it takes people from many professions to combat it. I left the conference energized and ready to help do my part in curing society of this scourge. And then I came back to my world in the hospital, to learn that yet another one of our physicians had been physically threatened by a patient because of refusal to prescribe opioids. There have been several initiatives to battle the opioid crisis, particularly to reduce the excessive prescription of opioid pain medications that have caused many people to unwittingly become addicted. 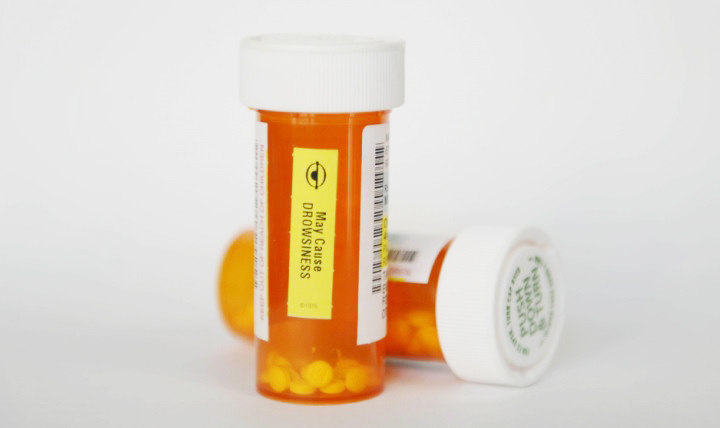 Here in Ohio, for example, there has been the creation of the OARRS database, where pharmacists upload records of all opioids dispensed in Ohio by a doctor’s prescription; prescribers are required to check the OARRS database prior to every opioid prescription to ensure that patients are not getting opioids from multiple physicians. The state medical board limits the number of days that a patient can receive opioids for post-operative surgical pain. There has been a state-wide effort to use non-opioid pain medications whenever possible, including the approval of a new medical marijuana law here in Ohio. The result of all of this is that it is harder for physicians to prescribe opioids and by prescribing opioids, physicians increasingly put themselves at risk of sanctions by the state medical board, including loss of their medical license if they don’t follow all of the regulations exactly. Consequently, many doctors in Ohio are reluctant to prescribe opioids and patients who have become addicted get desperate. Recently, we had a very good physician resign from our hospital because a patient threatened the doctor with death if the doctor would not prescribe opioids. The patient had initially been treated with opioids for cancer pain but with effective treatment, the cancer was cured. Since the cancer was cured, the cancer-related pain should also have resolved and when the doctor said that it was time to taper the opioid pain reliever off, the patient became irate. This was a doctor whose professional life had been dedicated to relieving pain and suffering, particularly of those people with cancer but to the doctor, it was not worth the risk to life nor the fear of walking through the clinic parking lot alone every morning. This week, a patient called and threatened another one of our doctor’s lives – the doctor had not even seen the patient for 3 years but another prescriber, had told the patient that they were no longer able to prescribe an opioid pain medication to the patient and somehow the patient got it in his head that it was all the original doctor’s fault. As physicians, we take these threats very seriously because sometimes patients act on these threats. On July 26, 2017, in South Bend, Indiana, Dr. Todd Graham (a physiatrist) refused to write a prescription for an opioid pain medication for a patient and later that afternoon, the patient’s husband shot and killed him. Every pain management physician knows about this case and thinks about it every time they de-escalate an opioid prescription or decline a request for a new opioid prescription. Sometimes the threats are more subtle and play more to the physician’s emotions rather than making physical threats. I had a patient who I prescribed oxycodone-containing cough suppressants who, when told that I was not going to prescribe them anymore, told me that he would just have to buy opioids on the street and that my failure to continue to prescribe the cough suppressant was going to turn him into a street drug addict. He said that his impending use of heroin was going to be all my fault… I still said no. Sometimes the threats are not so much physical or emotional but the threat of inconvenience. As an example, we had an inpatient who wanted an opioid pain medication and the hospitalist did not find a justifiable indication for it and refused to prescribe it. The patient threatened that if the doctor didn’t prescribe him Percocet, that the patient was going to report that the doctor was intoxicated. The doctor refused and so the patient called the medical staff office to report the hospitalist was drinking on the job. We had to pull the hospitalist off of rounds and sequester the doctor in the administrative offices until we could get the lab director to do an alcohol breath test. It was, of course, negative, however, the time of sequestration put the hospitalist behind in her rounds and so she ended up working a couple of hours later than her normal shift in order to finish her patient care duties… and the patient never did get the Percocet. Don’t ignore the doctors’ concerns. If they tell you that they are worried or fearful, take it seriously. When it comes to your perception of their safety and their perception of their safety, their perception is what is really important. Set clear expectations when initially prescribing opioids. All patients receiving more than a few day’s of an opioid for post-operative pain or a bronchitis-related cough should have a written pain contract that the patient signs. The pain contract should specify the purpose of the opioid, that regular drug testing will be done to ensure that they are not taking other controlled substances and are not diverting (selling) the opioids being prescribed to them. It should spell out that violations of the pain contract will result in a non-negotiable cessation of opioid prescription. Secure vulnerable practice locations. Using badge-reading locks to doors leading to high-risk clinics such as pain clinics or palliative medicine clinics can provide a sense of security to the physicians. Locate vulnerable practices in areas with security. Once again, pain management practices and palliative medicine practices are best suited in either a hospital location or in large, multidisciplinary clinic building where the size of the facility warrants having on-site security personnel. This is much safer than locating these practices in small, isolated office buildings. Consider panic buttons. If a patient threatens a physician, there usually is not enough time to pull a cell phone out and call for help. In large office buildings or hospitals, there may not even be good cell phone service in the interior rooms. A panic button that alarms directly to on-site security can provide a lot of reassurance to the physician. Consider chaperones. When a doctor is in a closed exam room with a patient, they can feel very vulnerable. Having a second health care worker in the room, especially for those patients who the doctor anticipates conflict over opioid prescribing, can help maintain an atmosphere of control and can run out to get help in event of patient threats. Make opioid addiction treatment available. Most patients who are addicted to opioid pain medications do not really want to be addicted to them but they cannot see any way out. Any physician who prescribes opioids needs to know where to refer patients who are addicted in order to get help, ideally some place where the patient can go directly from the physician’s office to initiate evaluation and treatment for addiction. Do not penalize physicians for doing the right thing. It was not too many years ago that we were told that “pain is the 5th vital sign” and failure to treat pain (with opioids) was akin to not treating patients with hypotension from septic shock. It was only last year that CMS still incorporated how well pain was treated as a component of the HCAHPS surveys of patient satisfaction. Patients who do not get the opioid prescription that they want are often angry and vindictive. We have to accept that those patients are going to fill out HCAHPS and CGCAHPS surveys unfavorably and will rate doctors low on on-line rating services. Hospital leaders have to be willing to accept theses ratings and not hold them against physicians who refuse to prescribe opioids unnecessarily. We cannot be the facilitators of patients who would hold their doctors hostage to prescribing habits. Beware of physicians who accept payments from pharmaceutical companies that market opioids. 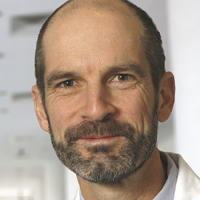 A study published in JAMA Internal Medicine by Dr. Scott Hadland this year found that 7% of physicians who prescribe opioids accepted payments from pharmaceutical companies for non-research opioid payments (speaking fees, meals, honoraria, consulting fees, education, travel, etc.). 1.7% of these physicians received > $1,000 in benefits from pharmaceutical companies regarding opioids. Those physicians who received payments from opioid-producing pharmaceutical companies were less likely to reduce opioid prescriptions to patients than physicians not receiving pharmaceutical payments. In fact, every meal received by a physician from a pharmaceutical company increased opioid prescriptions by 0.7%. Give the doctors other options. There are a lot of other ways to treat pain than opioids. Often, a non-steroidal anti-inflammatory drug, physical therapy, or an interventional pain procedure can be more effective that an opioid. We need to be sure that these methods of treating pain are just as easy to order and arrange as a prescription for Vicodin. “To relieve pain and suffering” is at the core of what makes us doctors. But then so is the tenet of “first, do no harm”. The problem with opioids is that they can relieve pain but they can also cause harm, to the patient but also less directly to the physician. It is incumbent on all of us to create treatment environments where physicians can feel safe from being the ones who are harmed by the opioid epidemic.